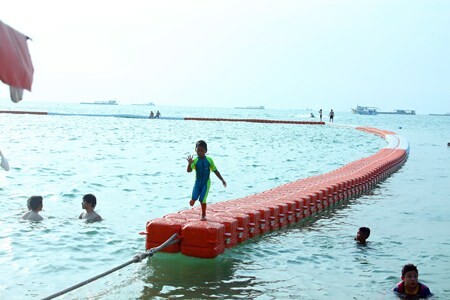 Pattaya marine officials have begun altering new buoys demarking swimming areas to discourage people from taking dangerous walks on the pontoons. 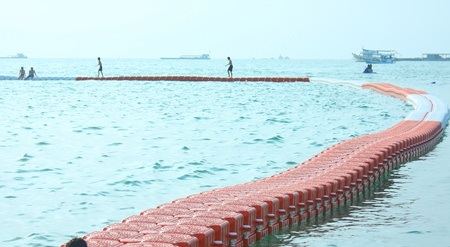 Following the recent drowning of a foreign tourist who police suspected of having fallen off one of the flat, red-and-white buoys, workers began separating the buoys with gaps large enough to allow rescue jet skis to enter the area. Deputy Mayor Ronakit Ekasingh said it’s hoped the gaps will remove any temptation for swimmers to walk on the floats. 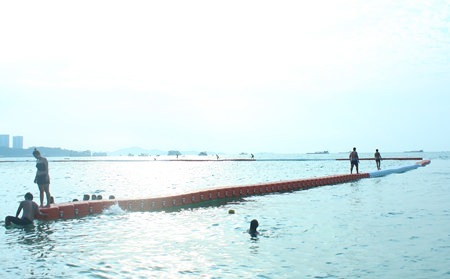 Currently, tourists are having fun walking on the buoys, but the city is putting larger gaps between the buoys to discourage their use as anything but a barrier to separate swimmers from boats and jet skis. 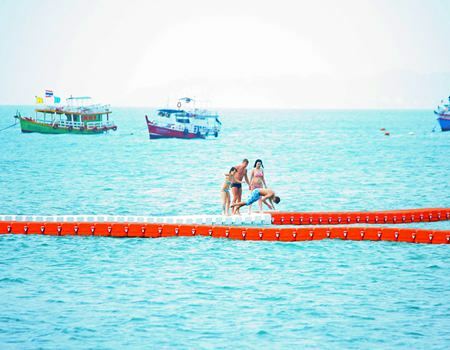 The wide, red-and-white barriers replaced round orange buoys that marked several locations along Pattaya and Jomtien beaches and have received generally positive reviews from both beach-goers and boat operators. 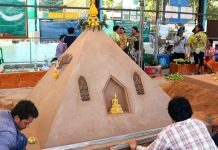 But even before their installation was complete, questions began mounting over the decision to use flat, wide, heavy-duty plastic. Several people were injured while walking on the water fences never intended to be a dock. Swimmers near the Dusit Curve found the floating body of the unidentified tourist March 16. Only one shoe and a mobile phone belonging to him was found, so police were struggling to identify the corpse. Although they had no basis in fact to back their assertions, officers speculated the tourist had been drunk and went walking on the buoys before falling off and drowning. Italian tourist Danilo Mappei said he thought the buoy zoning in Pattaya was good and very different than in his country. 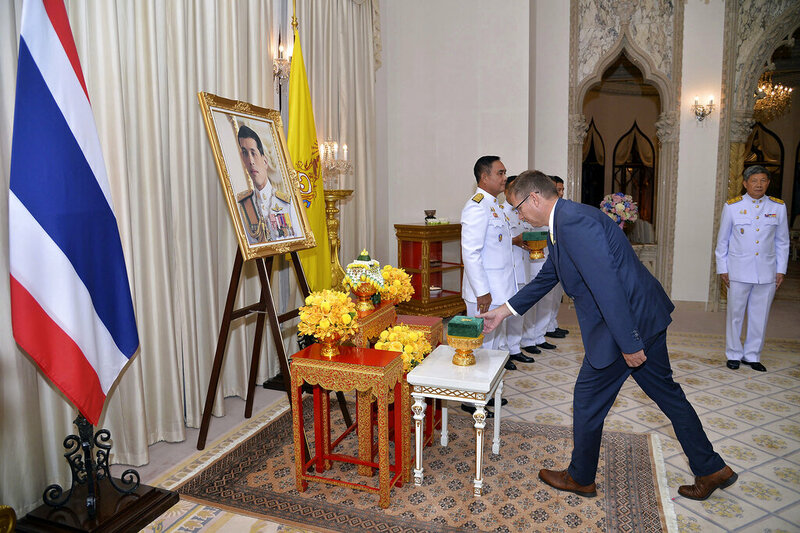 He did not think the buoys was dangerous and that people were causing their own problems.